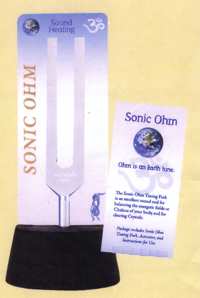 The Sonic Ohm Tuning Fork is an excellent sound tool for balancing the energetic fields or Chakras of your body, and for clearing Crystals. Package includes Sonic Ohm Tuning Fork, Activator, and Instructions for Use. Crystal not included.